I know I have mentioned this before, but I love experimenting with spicy or hot recipes. Growing up, we always had very basic flavoring. It was delicious, but my mom just doesn’t do spicy. Bryan and I love it though, so I decided it was time to make my Creamy Baked Mac and Cheese with a subtle kick – Jalapeño Mac and Cheese! Like many of my recipes, this came about because of what I needed to use up in my fridge. I was going to make my Creamy Baked Mac and Cheese, but I had some jalapeños left over from our Tomato and Avocado Salsa on the 4th. 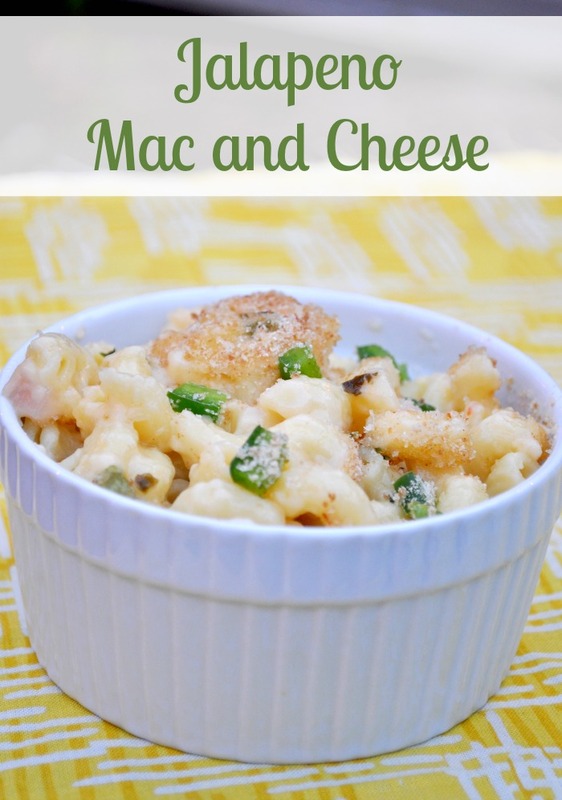 Put these two things together and you get creamy mac with the perfect amount of heat from the jalapeños and the pepper jack cheese! This heat of this recipe will completely depend on the jalapeños. 1, some jalapeños just have more heat than others. I always take a little bite to check the heat, and I recommend you do the same. 2, seeds is where the heat really is in the jalapeño. The more seeds you add, the hotter the recipe will be. I am someone who loves the flavor of jalapeños without too much heat, so I remove the seeds first and let a few stray seeds into the recipe. If you are someone that likes your food really hot, add more seeds. The best part of making the full size recipe is how much it makes for a reasonable price. It is perfect for a party or for having as leftovers like we do. This batch of Jalapeño Mac and Cheese got us 2 extra dinners and a lunch. 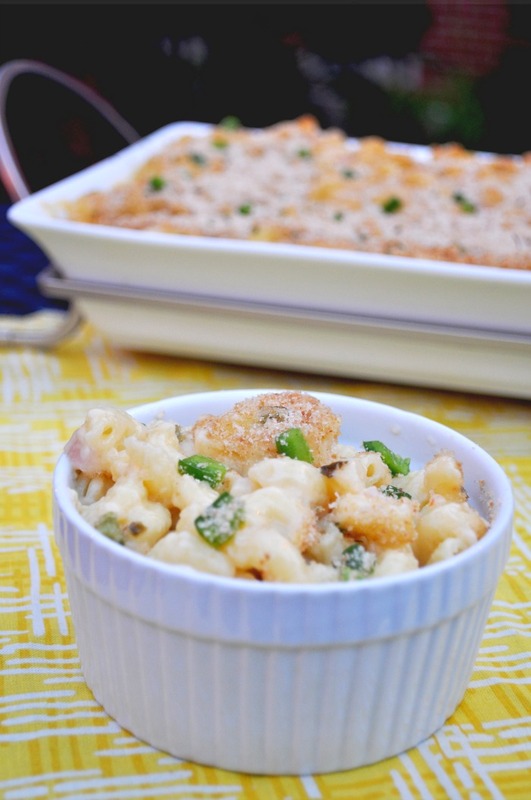 Love how your random ingredients turned into this spicy mac and cheese dish! My family loves spicy foods, so this would be a big hit! Looking forward to trying your recipe! Gorgeous pics!! 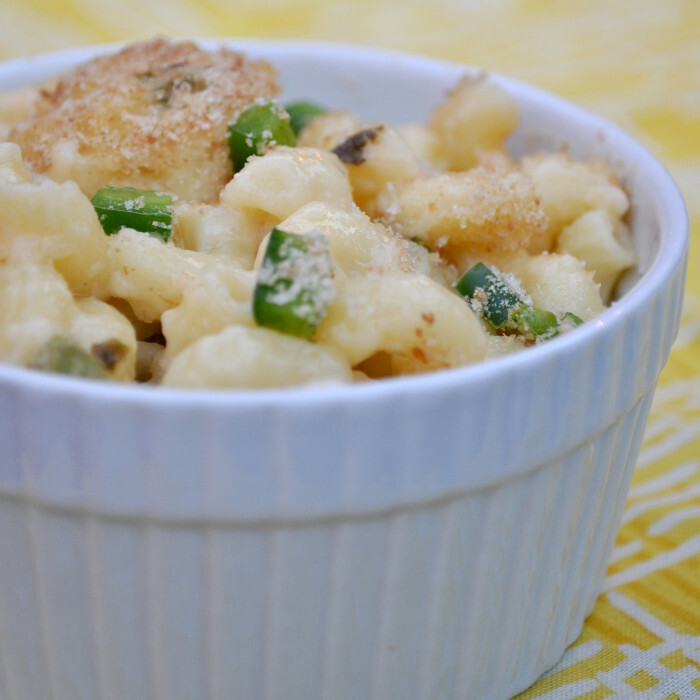 My husband and son both love adding some heat to their mac n cheese, and they definitely love jalapenos. I bet they would love it if I whipped this up. Can’t wait to try it! This looks absolutely delicious, Maggie! What a great weeknight dinner that my boys would love as well! Maggie, I love how you stepped-up this classic combo with a little jalapeno heat; my kind of dish! Nicely done, and thanks so much for posting this one. This looks sooo good! Pinned! 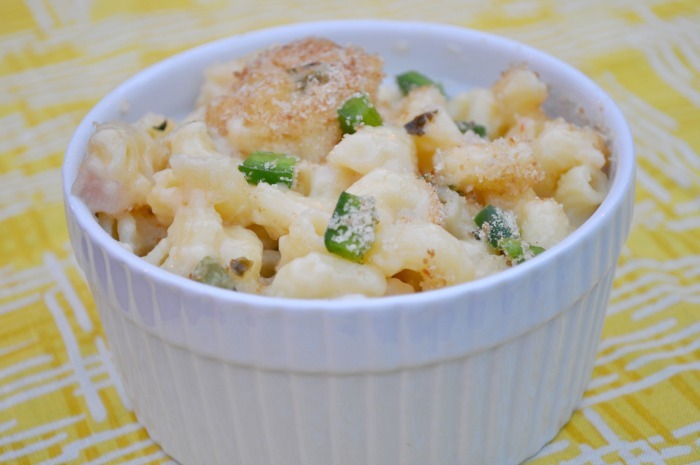 Mmm this reminds me of the mac n cheese that I get from my favorite resteraunt, I have got to make some of this! I am LOVING this recipe!!!!! Pinned and cannot wait to make it!